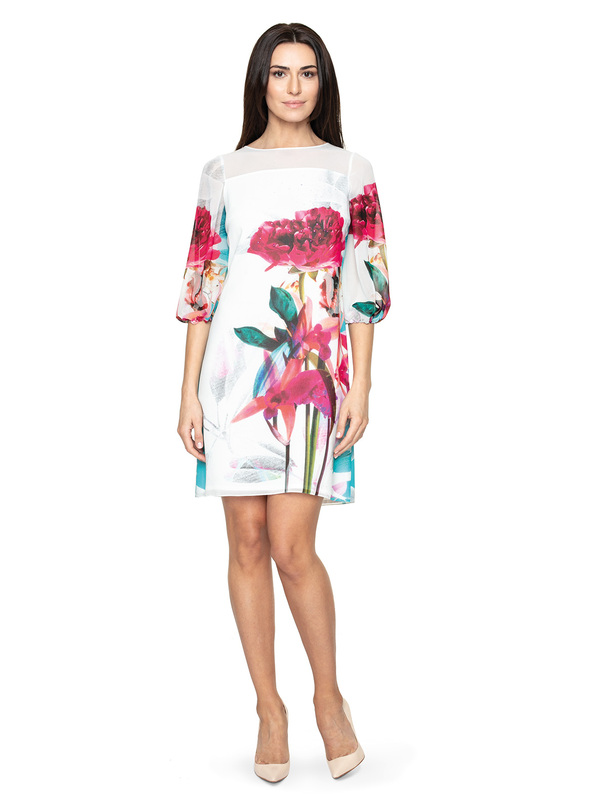 Danna emphasizes the feminine chic in an elegant style. It is an ideal proposal for a spring meeting. 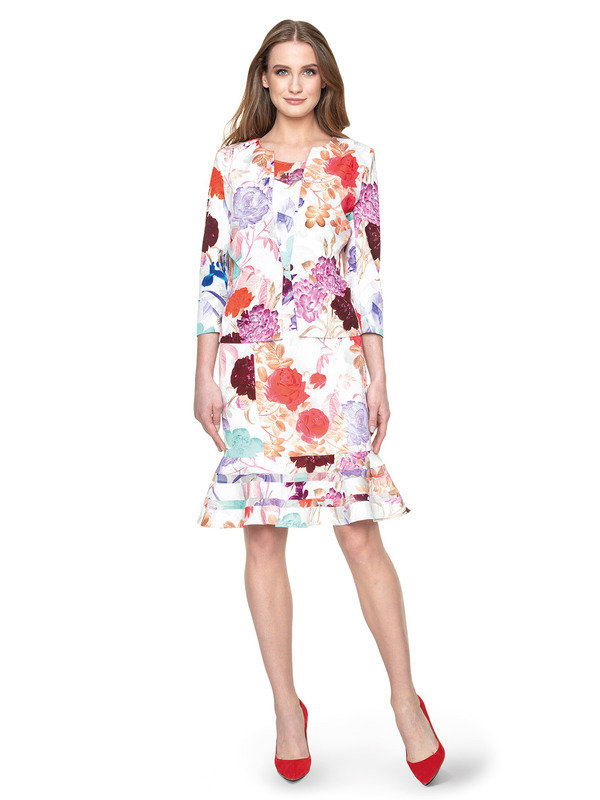 Danna is a bright dress with a distinctive floral pattern. Despite her loose cut, she subtly emphasizes her silhouette thanks to her delicate waistband and mini length. 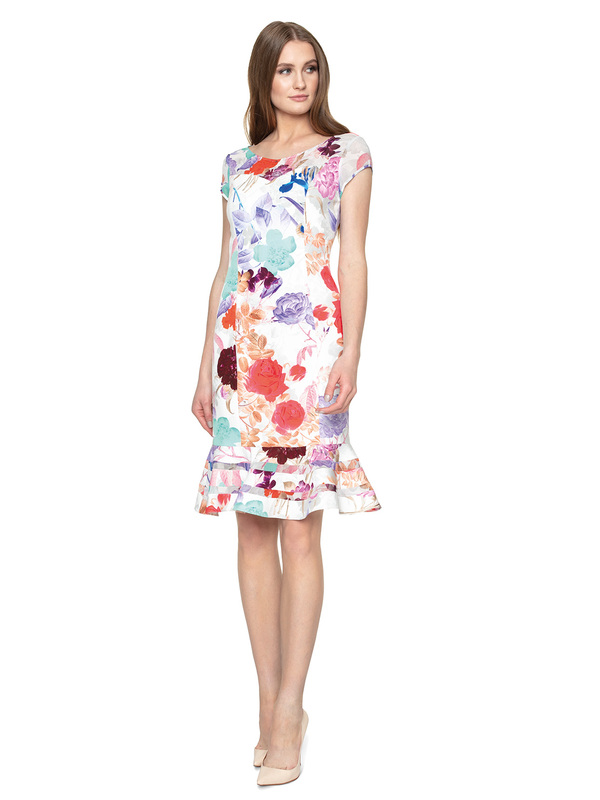 The neckline of the dress is decorated with transparent fragments of fabric and shiny jets. Danna has expandable sleeves, reaching to the elbows. Due to its decorativeness, it does not need to be accompanied by noisy accessories. Match it with classic high-heeled shoes and a bag. Discreet metal bracelets or thin rings will decorate your exposed hands.